Welcome to this month’s Blogorail Black loop. Today we are sharing some of the best photography apps. Years ago, my friends were all posting pictures from a paid app called “Hipstagram”. This thing was so cool – it added these filters and tones to your mobile pictures to make them look much more intriguing (notice I didn’t say “better”… filters didn’t always make better photos. Some things don’t change!). I was a cheapskate, so instead of paying for the app I poked deeper into the app store and found this little knock-off that would have to do. Though Instagram has transformed from that little photography filters app into a complete social media network, it is of course still in my arsenal of photography apps – a folder that is constantly growing and changing. Snapseed gets the first spot in any review of photo apps, in my opinion. Professional photographer and iPhone photography expert David Molnar turned me onto this app, and for great reason. The “tune image” selection allows you to manually adjust brightness, saturation, contrast, highlights, shadows, and more. It offers spot repair, selective adjustments, and other fine-tuning, as well as some filters, vignettes, etc if your photo just needs a little something extra. The manual control is where this app really shines, but it has plenty to offer anyone looking to improve the photos taken on their iPhone or iPad. But please not your iPad – at least not if you’re anywhere in front of me. (Please note: Google acquired Snapseed, and I’m not sold on some of the changes being made since I first paid for the app. This app has held the top spot for me for a long time, but it may not be as awesome as I once thought it was depending on when you read this :)) Available in the App Store and Google Play; now free. 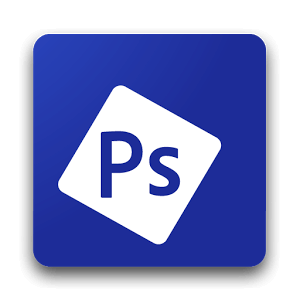 Photoshop Express is of course made and maintained by the folks behind Photoshop and Photoshop Elements. To be completely transparent, I don’t use it often since discovering Snapseed, but many Photoshop users will feel very comfortable with what this mobile version can do, and even how to do it. Available in the App Store, Google Play, and Windows Phone Store; Free. Pic Stitch is one of countless “collage maker” apps available, but has so far (and for over a year) been my favorite. It’s completely flexible with regards to resizing the overall canvas or individual segments, and even “cutting” your own designs to meet whatever needs you may have for a photo collage. It’s incredibly intuitive to use, and even offers a surprisingly well-rounded set of photo editing options that can be applied to the collage overall or to each individual section. There is also an added bonus of integration with Dropbox, Instagram, Evernote, and more. Available in the App Store and Google Play; Free, with in-app offers for premium features. 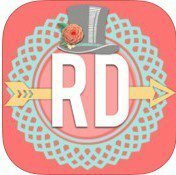 Rhonna Designs began as digital scrapbooking kits, fonts, and printables, but has had an absolutely beautiful app in the App Store for a few years now. It is similar to Over in that it allows you to take photos of your own (or free backdrops within the app) and overlay words, designs, etc to create something beautiful. In my opinion, it’s a little more extensive than Over – but that is both its draw and its flaw. If you have time and knowledge to use layers and all the app has to offer, your outcomes are virtually limitless. If you want to create something very quickly, you may find yourself limited without purchasing multiple font and design packs. 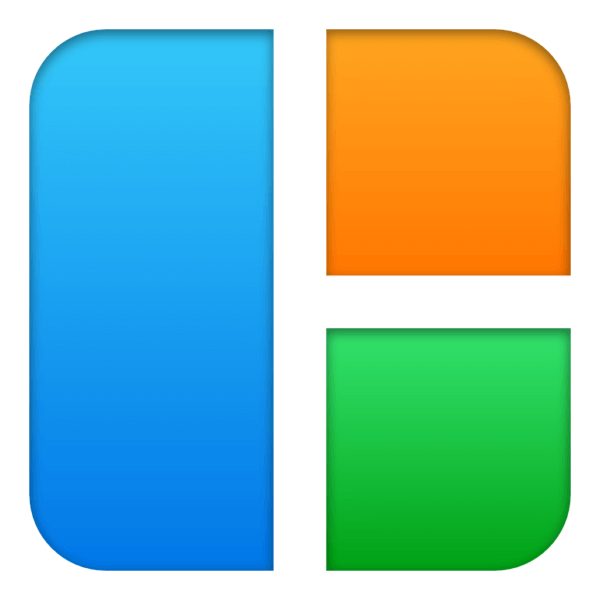 Available in the App Store, Google Play, and Windows Phone store; $1.99 plus additional in-app offers/purchases. Yep. I’m as shocked as you are, but there it is: the iOS photos app – which is now incidentally an app on computers running current OS X versions, too. For years, photos (iPhoto, My Photo Stream, and anything in between) was like a giant thorn in the side of Apple users everywhere. I have to say though, having just updated my computer and iOS devices to use this new universal “Photos” app across the board, it is very close to working as flawlessly as they would like. This means my photos appear in every device or computer I use, not instantaneously but with far less effort than ever before. The developers have also taken into consideration settings to optimize storage on each device – so I have access to a decade of photos directly from my phone, without taking up much of the precious storage space on the device. Pretty cool, and it’s definitely growing on me. PhotoToaster is super, super cool. Dare I say, it may end up replacing Snapseed as my top editing choice?! It is a paid app, but everything is included with the initial purchase. What do I mean by “everything”? Everything. Hundreds of filter options, texture overlays, borders, manual exposure sliders, noise reduction options, editing brushes, and tons more. Oh – and an “undo” button, which is cooler than it sounds considering most apps don’t have one and they should. 🙂 I have no problem recommending this over free alternatives. It is absolutely stunning what it can do, and is only not my go-to yet because I’m still exploring what it has to offer, and am very comfortable with Snapseed. I can say with near certainty though, that eventually I will choose this over Snapseed every time, just as Snapseed replaced Photoshop Express as my #1 choice. Available on the App Store; $2.99. I know there are literally hundreds of photo apps in the various mobile app stores. Which are your favorite? Previous Post: « What I think Disney's Tomorrowland did well… and not so well. I think what scares me is I use 5 apps and not a one of them is on your list! So much to learn and play with. 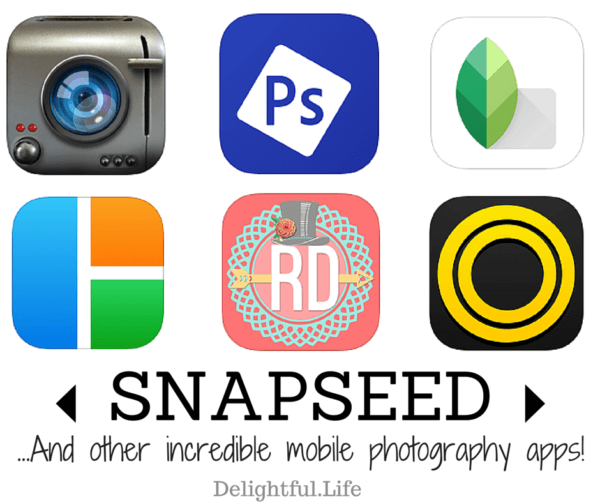 I’ve only heard good things about snapseed – I think I need to give it a try! Great app choices! I’ve never used the collage or scrapbooking apps, but I know someone who might be interested in those! Great apps! I’m going to have to try out Photo Toaster! I tend to shy away from apps with in-app purchases, so it’s nice to find an app where everything is included. I’m still learning Photos on my Macbook Pro. I liked the events in iPhoto, so I haven’t learned to love Photos yet.